It is frustrating and scary to hear that your application for Social Security disability benefits has been denied, but now is not the time to give up. An initial denial of Social Security disability benefits is not the end of the road. Instead, if you suffer from depression and you believe that you do qualify for Social Security disability—it is time to take action. Seek treatment for your depression. If you regularly see a medical professional for depression, then information about your treatment will be useful on appeal. You will, for example, be able to provide details about how long you have received help, the types of treatments you have tried, and how you responded to these treatments. Be ready to describe how depression impacts your daily life. The Social Security Administration will ultimately want to know how your depression results in a disability. You should describe in detail how depression limits your daily life and provide specific examples of how depression has prevented you from being able to work in the position that you once held. Understand how the appeals process works. You have to take action in order to appeal the denial of your disability claim. You may, for example, file a Reconsideration Appeal or a Request for a Hearing. The details may seem overwhelming, but an experienced lawyer can explain all of your options to you and make sure that your rights are protected. Take care of your health. Make sure that you have someone whom you trust whom you can talk to about your condition and the stress associated with your Social Security disability denial. Additionally, make sure that you are getting regular medical care and following your doctor’s recommendations. Receiving a denial for depression is difficult. We understand how challenging it can be to apply for the benefits you need and deserve, but you do not have to do it alone. An experienced Security disability lawyer can help. Let us be your voice during this difficult process. Call Keefe Disability Law to schedule your appointment with one of our New England disability attorneys today. 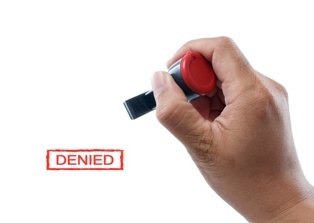 Should You Appeal or Reapply After a Social Security Disability Denial? Depression Treatment: How Far Do You Need to Go to Get Social Security Disability Benefits?